Omg, it's been weeks or shall I say months since I blog! I am very sorry but I always think on what to blog. Honestly I am going through a lot of things lately and even I've got a lot of things to blog but time won't let me do it. Well, it's the matter of priorities but I'm not saying my blog isn't on my list, it's just that there's more important things. Oh enough with my dramas and let me share you something! Are you ready? Few months ago, you know that I've been into something or it's been so rough for me right? But well, for now I'm happy to tell you that I'm looking to a brighter future every day. Do you wonder why? Uh-huh! Before the unexpected break-up, I never thought of anyone who would wait for me at the altar other than my ex but now, I am looking for that bright future that someday there's somewhat out there who's waiting for me and would love me until the end. Yay! Haha Cheesy? Well, I believe in God and I'll leave it all to him. 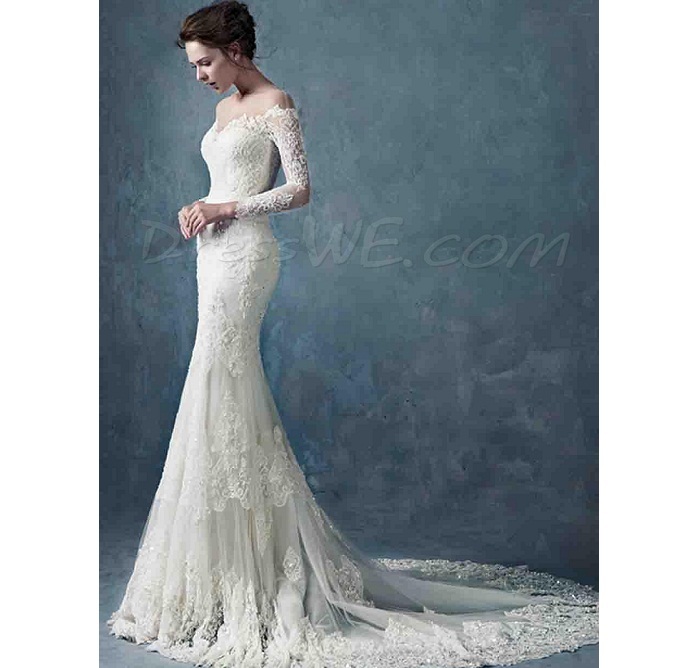 Will you help me choose other modest wedding dresses from dresswe.com? I know you will! Let's go and let's choose dresswe cheap wedding dresses.